Product Description: This breakfast tea is how Plum Deluxe folk like to start their day. The earthy base helps center you; the ping of orange helps wake you and get you excited about today’s possibilities. It’s a simple tea and yet it is rich with subtle flavors. Hazelnut in its oil essence form has tons of great anti-inflammatory and anti-oxidant benefits, as well as vitamin E. Paired with some orange, you’re getting a true boost from this tea in every cup. 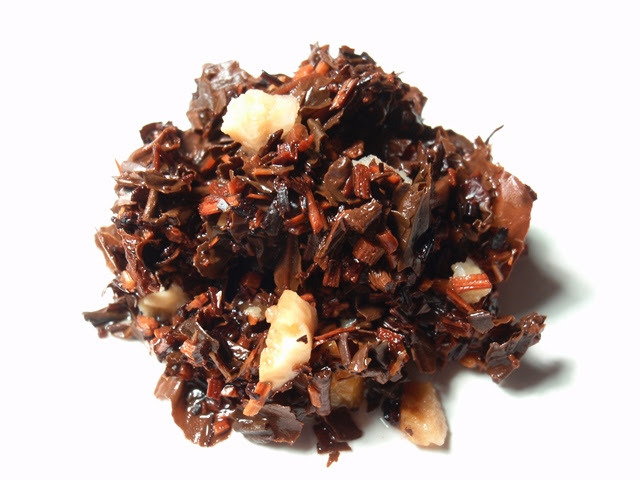 The dry leaf blend includes black tea, honeybush, orange peel, and hazelnut essence. 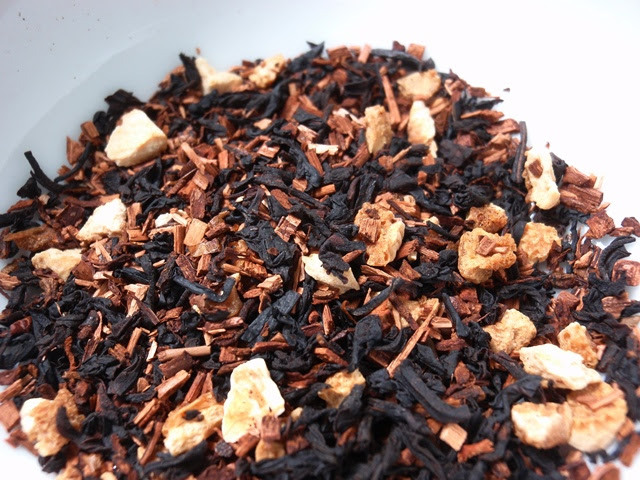 The red-orange infusion has a sweet aroma of citrus, hazelnuts, and berries. The taste was lightly sweet with mellow notes of hazelnut and citrus. 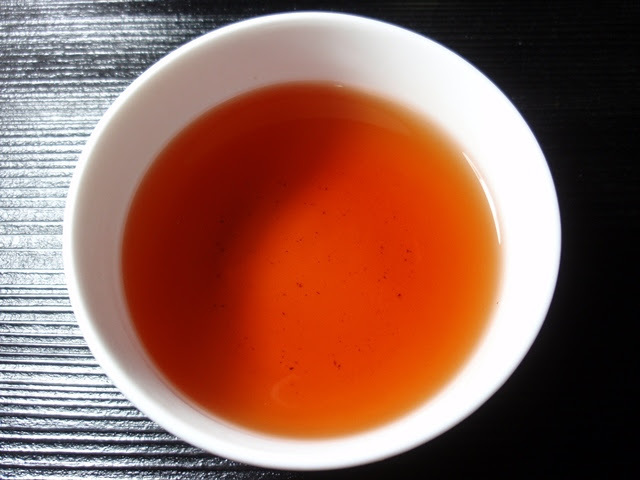 The flavor and aroma were at their best for the first two steepings, becoming much more mellow by a third steeping. Picking up pleasant berry notes was unexpected since there are none in the blend. I would guess that had something to do with the how the aromas of the ingredients interacted.